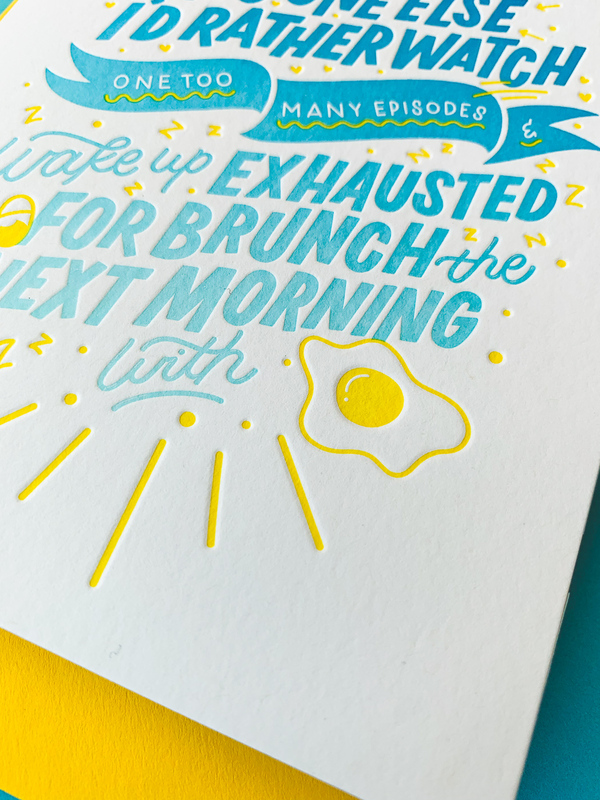 A celebration of friendship and staying up too late! 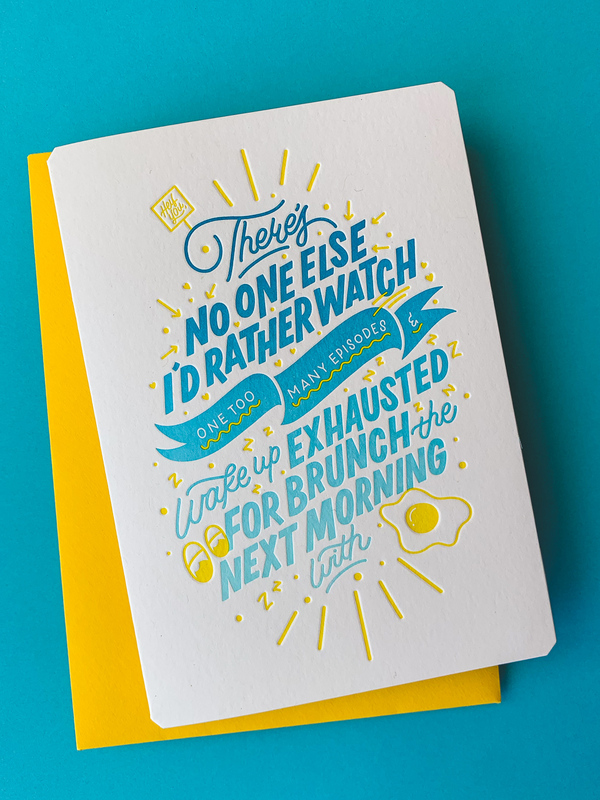 We collaborated with illustrator and letterer Kate Pullen for Valentine’s Day. 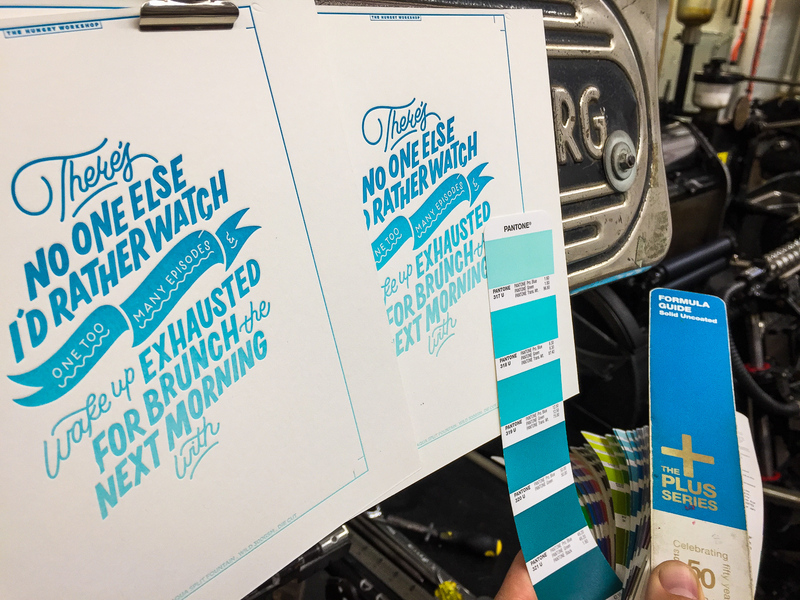 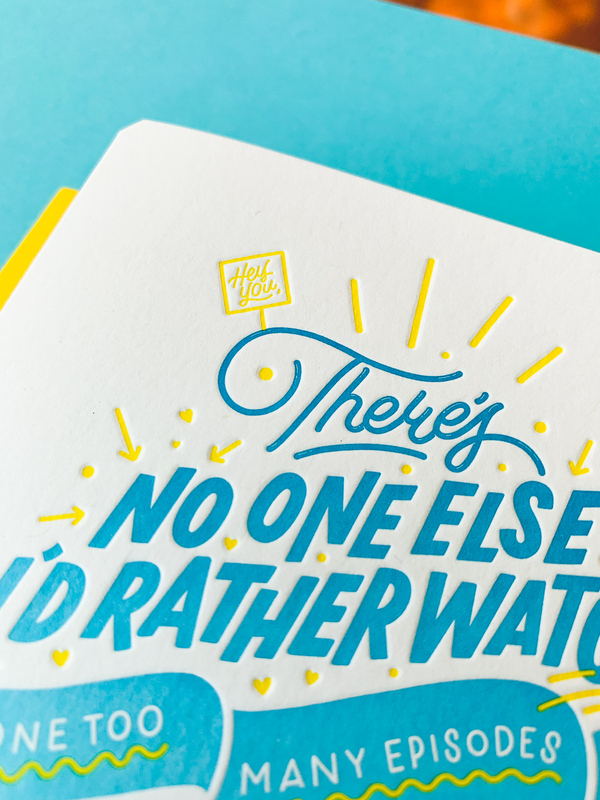 ‘There’s No One Else’ cards are letterpress printed in two passes – the first a split-fountain gradient of blues, the second a bright sunny yellow – on Stephen, a stock made up of 20% recycled content and 15% cotton, and custom die cut.